One of the great enigmas of the modern Middle East is why, forty years ago next week, the Six-Day War took place. Neither Israel nor its Arab neighbors wanted or expected a fight in June 1967; the consensus view among historians holds that the unwanted combat resulted from a sequence of accidents. Enter Isabella Ginor and Gideon Remez, a wife-husband team, to challenge the accident theory and offer a plausible explanation for the causes of the war. 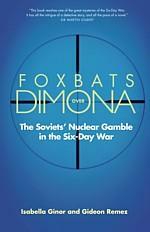 As suggested by the title of their book, Foxbats over Dimona: The Soviets' Nuclear Gamble in the Six-Day War (Yale University Press), they argue that it originated in a scheme by the Soviet Politburo to eliminate Israel's nuclear facility at Dimona, and with it the country's aspiration to develop nuclear weapons. Moshe Sneh, an Israeli communist leader (and father of Ephraim Sneh, the country's current deputy minister of defense), told the Soviet ambassador in December 1965 that an advisor to the prime minister had informed him about "Israel's intention to produce its own atomic bomb." Leonid Brezhnev and his colleagues received this piece of information with dead seriousness and decided – as did the Israelis about Iraq in 1981 and may be doing about Iran in 2007 – to abort this process through air strikes. Rather than do so directly, however, Moscow devised a complex scheme to lure the Israelis into starting a war which would end with a Soviet attack on Dimona. Militarily, the Kremlin prepared by surrounding Israel with an armada of nuclear-armed forces in both the Mediterranean and Red seas, pre-positioning matériel on land, and training troops nearby with the expectation of using them. Perhaps the most startling information in Foxbats over Dimona concerns the detailed plans for Soviet troops to attack Israeli territory, and specifically to bombard oil refineries and reservoirs, and reach out to Israeli Arabs. No less eye opening is to learn that Soviet photo-reconnaissance MiG-25s (the "Foxbats" of the title) directly overflew the Dimona reactor in May 1967. Politically, the scheme consisted of fabricating intelligence reports about Israeli threats to Syria, thereby goading the Egyptian, Syrian, and Jordanian forces to go on war-footing. As his Soviet masters then instructed, Egypt's Gamal Abdel Nasser moved his troops toward Israel, removed a United Nations buffer force, and blockaded a key naval route to Israel – three steps that together compelled the Israelis to move to a full-alert defense. Unable to sustain this posture for long, they struck first, thereby, it appeared, falling into the Soviet trap. But then the Israel Defense Forces did something astonishing. Rather than fight to a draw, as the Soviets expected, they quickly won what I have called "the most overwhelming victory in the annals of warfare." Using purely conventional means, they defeated three enemy Arab states in six days, thereby preempting the planned Soviet invasion, which had to be scuttled. This fiasco made the elaborate Soviet scheme look inept, and Moscow understandably decided to obscure its own role in engineering the war (its second major strategic debacle of the decade – the attempt to place missiles in Cuba having been the first). The cover-up succeeded so well that Moscow's responsibility for the Six-Day War has disappeared from histories of the conflict. Thus, a specialist on the war like Michael Oren, has coolly received the Ginor-Remez thesis, saying he has not found "any documentary evidence to support" it. If Foxbats over Dimona is not the definitive word, it offers a viable, exciting interpretation for others to chew on, with many implications. Today's Arab-Israeli conflict, with its focus on the territories won in 1967, accompanied by virulent antisemitism, results in large part from Kremlin decisions made four decades ago. The whole exercise was for naught, as Israeli possession of nuclear weapons had limited impact on the Soviet Union before it expired in 1991. And, as the authors note , "21st century nostalgia for the supposed stability of the Cold War is largely illusory." Finally, forty years later, where might things be had the Soviets' Six-Day War not occurred? However bad circumstances are at present, they would presumably be yet worse without that stunning Israeli victory. 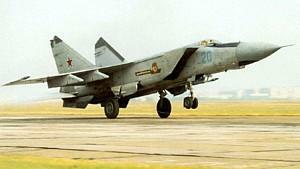 Aug. 24, 2007 update: For confirmation of a vital piece of the Ginor-Remez theory, see "Foxbats Did Fly over Dimona." Related Topics: Arab-Israel conflict & diplomacy, History, Israel & Zionism, Russia/Soviet Union | Daniel Pipes receive the latest by email: subscribe to the free mef mailing list This text may be reposted or forwarded so long as it is presented as an integral whole with complete and accurate information provided about its author, date, place of publication, and original URL.